The Rubenianum is open from Monday to Friday, from 8:30 a.m. to 12 noon and from 1 p.m. to 4:30 p.m. During these opening hours, the reading room and Kolveniershof are open to the public. The Rubenianum is closed on Saturdays and Sundays and on public holidays. The Rubenianum is located in a side street of Meir, at walking distance from Antwerp’s Central Station. It is easy to reach by public transport. Are you travelling to Antwerp by car? 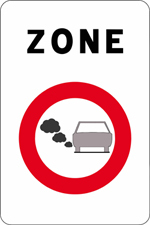 Then remember that the entire city centre of Antwerp and Linkeroever/Left Bank are a low emission zone as of 1 February 2017. Vehicles that emit too much soot and particulate matter may no longer enter the low emission zone. Check before coming to Antwerp whether your vehicle complies with the conditions for entry with this test. The reading room of the Rubenianum is freely accessible to the general public. You can consult books and documentation during its opening hours from Monday to Friday. For more information about the reading room, click here. To discover our program of lectures, seminars and other activities, click here. For art history students, the Rubenianum provides introductory guided tours behind the scenes. For more information about the guided tours, click here. The Rubenianum offers you the opportunity to hire the historic Kolveniershof for your event. For more information about hiring rooms, click here.